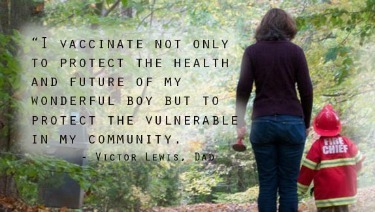 ​​​​​​Did you know the overwhelming majority of parents vaccinate their children? In an effort to transform statistics into real conversations about how children and families benefit from immunizations, the American Academy of Pediatrics (AAP) asked parents to send in personal stories and testimonials about why they vaccinate their children. I value caring for my baby. I trust my baby's doctor. I want to protect my baby's body.